How to get more youngsters actively involved in political decision-making? 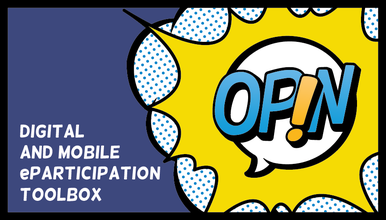 In the past two years the European innovation project EUth intensively researched the field of youth eParticipation and developed the unprecedented digital participation toolbox OPIN, which is adapted to the needs of young people. On the 7th and 8th of December, the project partners will present their results and the final version of the platform at their Open Summit in Berlin. By bringing the public, non-profit and private sectors together, new synergies, knowledge and partnerships will be built. During the Open Summit participants will be involved in discussions around the questions: How to enable more eParticipation? 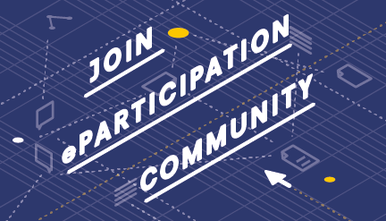 What can youth participation learn from citizen participation? How to embed new communication channels in (old) decision-making structures? How to combine online and offline methods? Participants will elaborate recommendations for the development of digital youth participation. Over 80 participants from different sectors are expected to join in the discussions: practitioners, youth workers and leaders, civic participation actors, researchers and innovators, experts, software developers and people from the private sector, representatives from public administrations and institutions from local to European levels, as well as those who are simply interested in the topic. The EUth project consortium, the pilot projects that have been using the OPIN toolbox all over Europe and young media makers will also join the event. On the first day of the Open Summit, researchers and practitioners will give an overview of youth participation with a particular focus on digital aspects. Participants will then discuss emerging questions in the field in four working groups. The outcomes of the discussions will be summed up by a panel, made up of representatives from various fields: decision-making, EU institutions, youth NGO’s, private sector and research. The first day will end with an informal networking event and a dinner. On the second day, a keynote speaker and an inter-sectoral panel will give inspiration for further discussions, focusing in particular on the future of internet. These will be organised in two rounds of open barcamp sessions, in which participants will have the opportunity to share practices and learn from others. The whole event will be summed up by EUth project consortium and young journalists from the European Youth Press. On the second day of the Open Summit, the consortium of STEP, a H2020 project about youth eParticipation will join the Open Summit and host a session in order to present the experience gained and the results of 30 months work. STEP is an eParticipation platform, currently being pilot tested by six public authorities in four European countries, aiming to facilitate interaction between policy makers and young people and enable youth societal and political eParticipation in decision-making procedures concerning environmental issues. You can reserve a place at the Summit by reserving a free ticket here until 3rd October 2017 (final call). Please mind, that you need to wait for participation confirmation until 6th October before further bookings.